I planned a fun early Christmas surprise for my teen again this year. His Way Christian Bookstore hosted a lunch and book signing with author Wayne Thomas Batson. The Attic teen has been eagerly wanting to read the last book in the Berinfell Prophecies: The Tide of Unmaking (co-written with Christopher Hopper), so I purchased the book and RSVP'ed for seats for all of us to attend. CHRISTOPHER HOPPER, whose other books include Rise of the Dibor, The Lion Vrie, and Athera's Dawn, has gathered awards and nominations including Silver Moonbeam, Lamplighter, The Clive Staples, and The Pluto. He is also a multi-album recording artist, pastor, visual designer, and restaurateur. His prolific writings in both book and blog form have captured the imaginations of loyal readers around the world. He lives with his wife, Jennifer, and their four children in the 1000 Islands of northern New York. To find out more about Christopher, go to christopherhopper.com. This is fast becoming a holiday tradition for us. 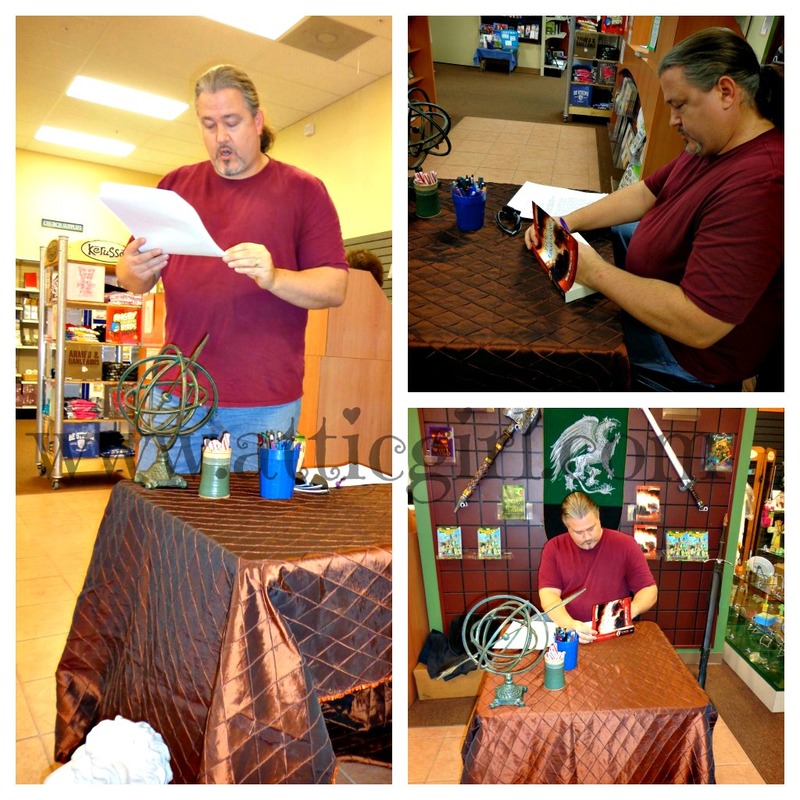 I missed last year's book signing event due to illness but I was determined not to miss it this year. It was a small group (there were about 6 others that weren't able to make it), but it was easier for my son to ask as many questions as he wanted. It's not every day that you get to sit down to eat with an author and pick their brain! I wasn't sure how long little miss would be attentive since it was nap time. However, she managed to do quite well through the course of the lunch. It was great to see my somewhat shy son animated and engaging in conversation about what he liked and didn't like about the last book in the series. The conversation also led to some fun discussion about Tolkien and the latest movie "The Hobbit". After lunch, we walked over to the bookstore for a casual reading and Q & A session. One of Wayne's former middle school students was there. It was neat to see the impact that he had on this student (now a young adult) and her excitement to read her first book by her former teacher. This Christmas present was definitely a hit (I think I scored some mom points too which is no small feat at times) thanks to His Way Bookstore. And thank you Mr. Batson for taking time out of your busy schedule to meet with your fans, encouraging them to read, and inspiring them. This mom truly appreciates the impact you have made on my son. 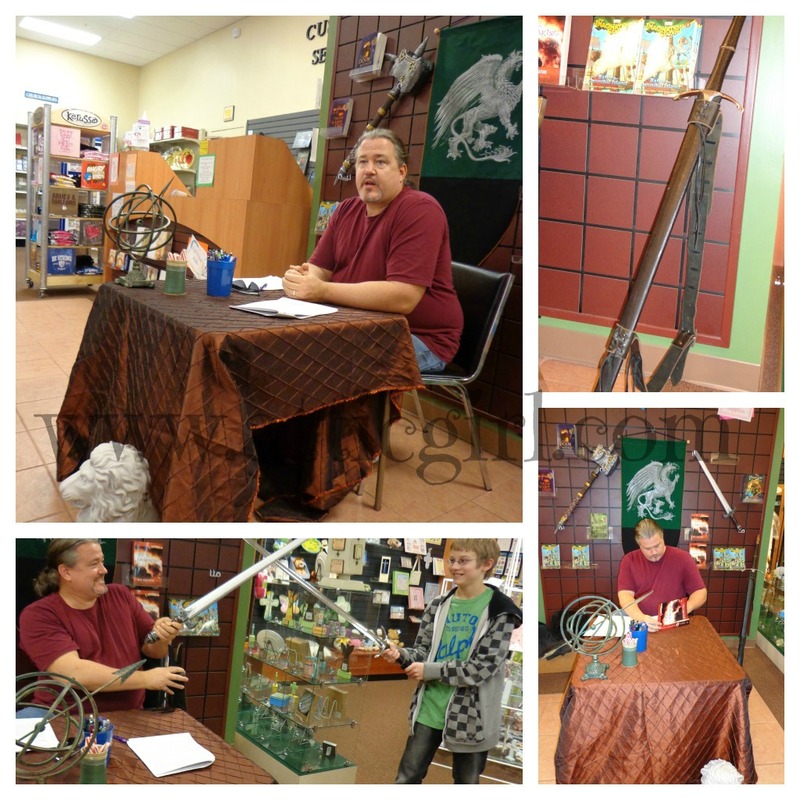 If you have tweens or teens who love epic fantasy fiction, you'll want to check out Wayne Batson's blog to find out more about his books. Disclaimer: I did not receive compensation for this post. I am writing this to share with my readers and support a local author. Any opinions expressed are my own. 9 comments on "Wayne Batson Lunch & Book Signing 2012"
It looks like your son had an awesome time! I will definitely put this on my daughter's radar! I love book signings. Oh what fun! What a great day and a perfect present. Glad this author is able to connect like this with the teens that read his books. Really enjoyed reading about this. Thank you! This is a great post. Sounds like you both had a great time. Love the pictures..
Looks like the both of you had a great time. I love the pictures. I am embarrassed to say that as much as I love reading I have never been to a book signing. I bet he had tons of fun. Fantastic Tradition! I have a little book nerd and I think she would LOVE something like this! !